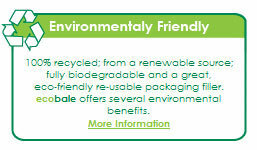 ecobale Limited manufactures and supplies cardboard animal bedding throughout the United Kingdom. ecobale cardboard animal bedding is an environmentally friendly alternative to traditional animal bedding like wood shavings and straw. It provides a healthier, cleaner environment for all animals, poultry and game and is particularly popular in the equestrian, agricultural and game and poultry rearing industries. It can also be used as an effective environmentally friendly packaging filler, a greener alternative to polystyrene chips. ecobale animal bedding is clean, comfortable, highly absorbent, cost-effective and biodegradable and provides a virtually dust, seed and spore-free environment, perfect for animals with allergies or respiratory problems. 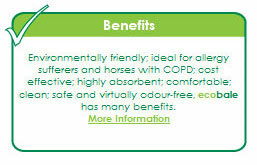 It can be especially beneficial to horses suffering from COPD. 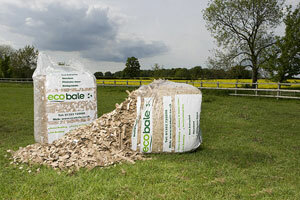 ecobale eco-friendly animal bedding is made from perfectly clean, recycled shredded cardboard and is available for delivery throughout the United Kingdom or for collection from our depot in Ely, Cambridge. Over thirty years experience in the cardboard industry means that ecobale Ltd has access to an endless supply of cardboard and is therefore able to offer a year-round uninterrupted supply of eco-friendly cardboard animal bedding for your horses, poultry, pheasant and partridge poults and other animals. 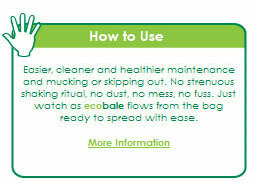 Through this website we have tried to provide as much information as possible on ecobale, its benefits, how to use it and how to place an order. However, if you have any questions or need further information, please Contact Us, we'd be delighted to hear from you.